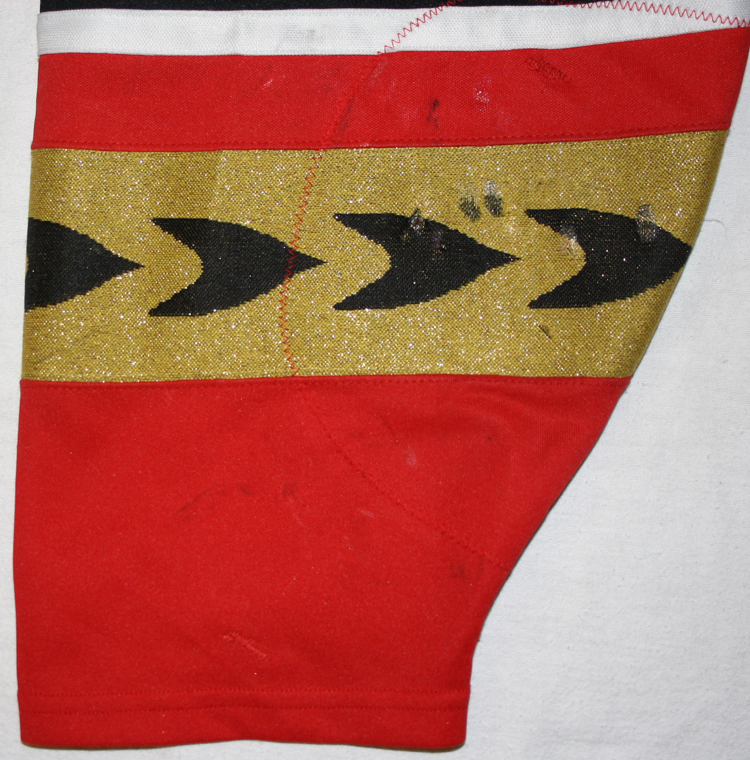 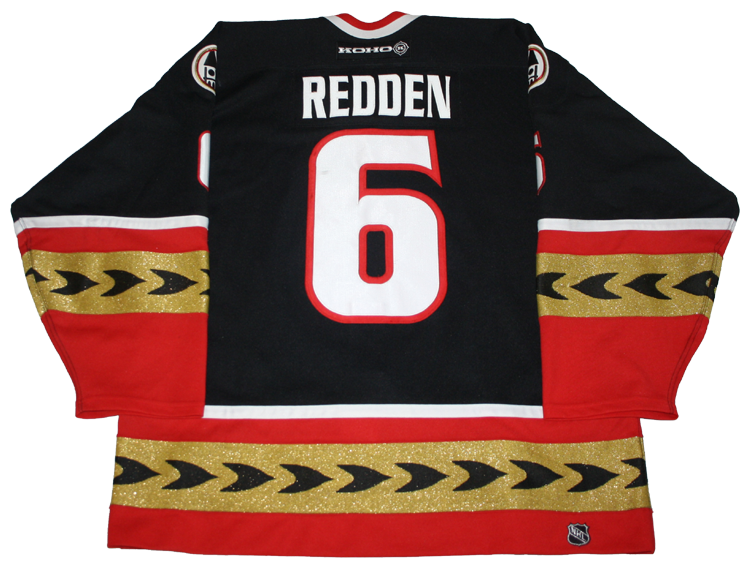 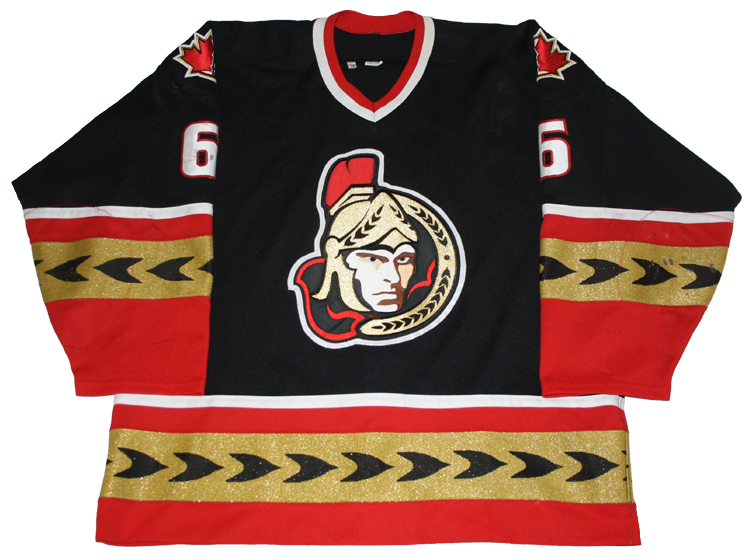 This jersey was worn by Wade Redden of the Ottawa Senators during the 2001-02 season. 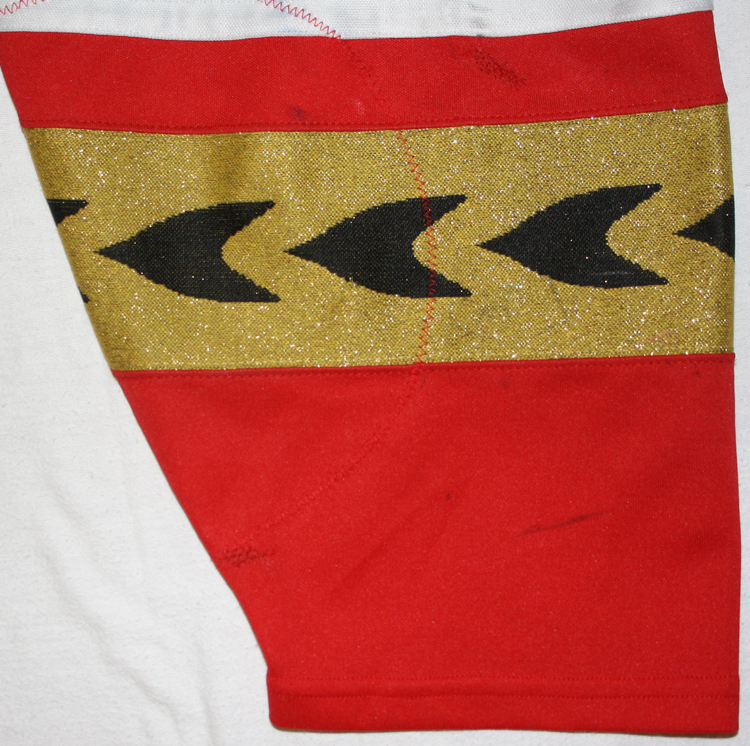 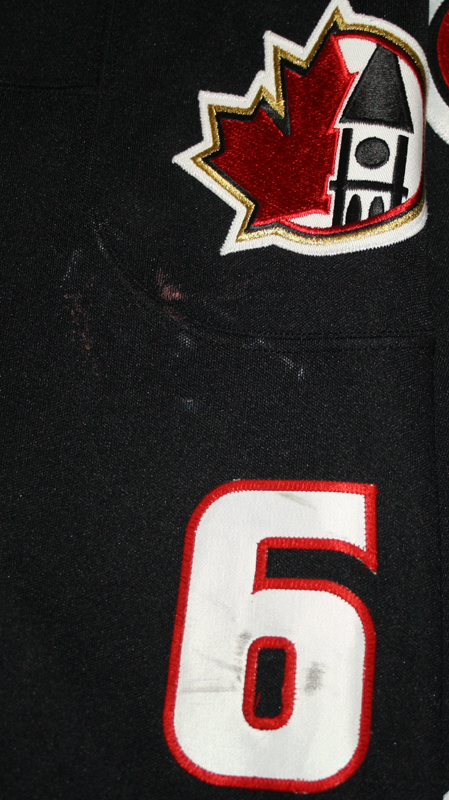 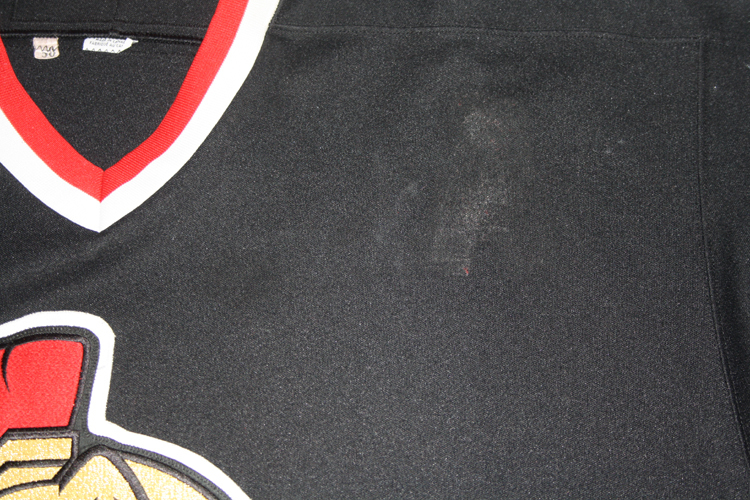 Redden was an assistant captain for most of the season and this jersey shows evidence of the removal of an assistant captain's "A". 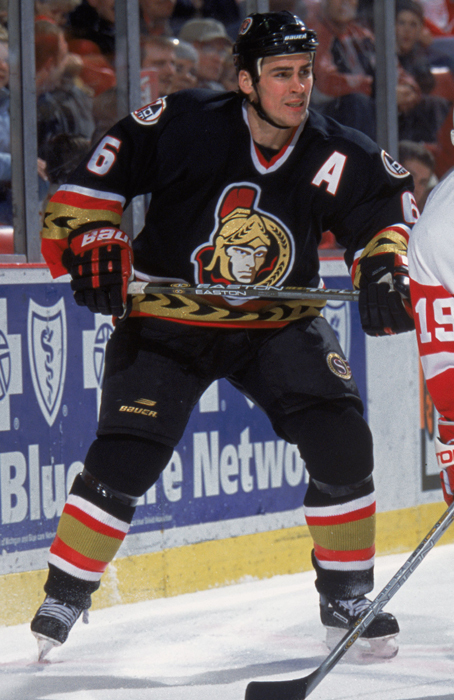 During the 2001-02 season, Redden played in his first and only NHL All-Star game.